The Filmfare Awards for playback singing first started in the year 1958. In 1956, 'Rasik Balma'[CHORI-CHORI] won the Best Song Filmfare Award, Lata refused to sing it live in protest of no Playback Singer category, which paved way in 1958 of this new category ( though Male & Female Awards where started later on). From the year 1958 to 1966 no other female singer was able to get the filmfare award. Since she had won the popular Filmfare awards so many times & had always been accussed of monopolising the industry (along with sister Asha), after 1969, she made the unusual gesture of giving up FILMFARE awards in favour of fresh talent.
. for completion of 50 years. 1972 - Parichay - Best Female Playback Singer. 1975 - Kora Kagaz - Best Female Playback Singer. 1990 - Lekin - Best Female Playback Singer. 1966 - Sadhi Mansa - Best Playback Singer. 1967 - Jait Re Jait - Best Playback Singer. 1964 - Woh Kaun Thi - Best Female Playback Singer. 1967 - Milan - Best Female Playback Singer. 1968 - Raja Aur Rank - Best Female Playback Singer. 1969 - Saraswati Chandra - Best Female Playback Singer. 1970 - Do Raaste - Best Female Playback Singer. 1971 - Tere Mere Sapne - Best Female Playback Singer. 1973 - Marjina Abdulla (Bengali) - Best Female Playback Singer. 1973 - Abhimaan - Best Female Playback Singer. 1981 - Ek Duje Ke Liye - Best Female Playback Singer. 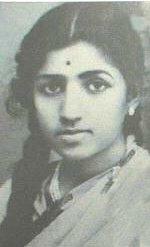 1985 - Ram Teri Ganga Maili - Best Female Playback Singer. 1997 : Rajiv Gandhi Award. Doctor of Literature from Shivaji, Kolhapur, Pune, Khairagadh Music University, Hyderabad University & New York University. In Tirupati, the title of Asthaan Sangeet Vidwaan Sarloo(Court Musician of the Shrine). The Government of Madya Pradesh instituted a national level music award, in 1984, in recognition of Lata's extraordinary talent and her services to the field of music. 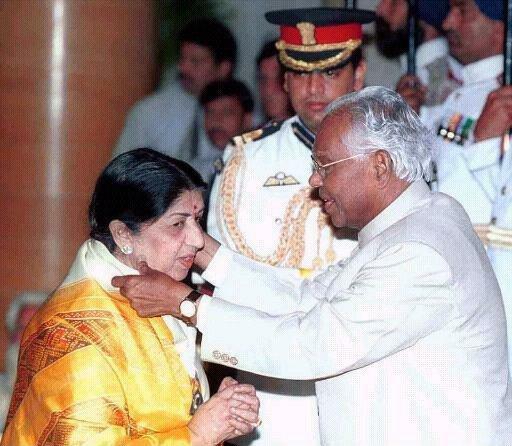 The award, Lata Mangeshkar Award, consists of a certificate of merit and a cash award of Rs. One Lac. Till date this award has been conferred on such giants of music field like Naushad , Kishore Kumar , Jaidev , Manna Dey , Khayyam , Asha Bhosle , Bhupen Hazarika , Mahendra Kapoor & Sandhya Mukherjee. Music director O. P. Nayyar was also selected to be the recipient of the Award. He, however, declined to accept it on the ground that he would have preferred to accept an award named after a music director for a music director teaches a singer the nuances of music, not the vice versa. 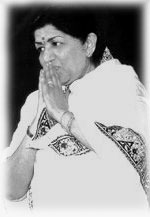 Lata Mangeshkar Award was also instituted by Maharashtra Government in 1992, first recipient of this award was Manik Verma for her outstanding contribution in singing.